Clothing designers are always looking for ways to stand out from the crowd and make their brand more recognizable. 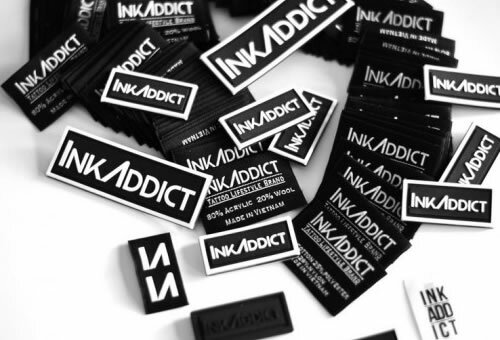 For people who design handmade clothing or accessories, one of the most important ways to create an identity for their line is by adding eye-catching labels that consumers will instantly associate with a particular designer. While labels have traditionally been concealed inside of the collar or waistbands of clothing or tucked in an unnoticeable spot on accessories, today’s designers are looking for ways to catch the eye of shoppers. One of the most fun- and practical- ways to do this is by using soft PVC labels that can be attached on the outside of clothing, accessories, and other goods and are more of a design touch than a simple brand identifier. Soft PVC clothing labels are as versatile as woven or printed labels in terms of design. You can create your label with several colors, a logo, your company name, or any other design element you would use for a traditional label. However, unlike printed or woven labels, you can add a three dimensional, tactile element to soft PVC labels that make them more eye catching than any other type of label. PVC clothing labels make a statement to the buyer that tells them that you are a serious designer who creates innovative products. PVC clothing labels are perfect for designers of other products as well. There are many benefits to PVC clothing labels that aren’t available in woven or printed labels. For example, if you create products that are designed for use in wet conditions, PVC labels are the ideal choice. Designers that create products intended for the beach, for example, will find that PVC clothing labels look great and can easily withstand the conditions that can destroy other labels. Bathing suits, beach bags, towels, totes, and even beach umbrellas are all perfect examples of how PVC labels can help you stand out from the crowd. Accessories manufacturers are also turning to this kind of labels. They can be used as hang tags on everything from jewelry to purses. You can also attach PVC labels to the outside of purses and other accessories to give them a cool, industrial look or use brightly colored labels for a fun, casual feeling. People who create hats and other headgear can also look into PVC clothing labels for their products. You can also have PVC labels printed that become part of the design of your hat- use one with a clever saying on the brim of a cap to add that special touch, or place one outside of your hat to show off your line. If you create shoes, soft PVC labels are perfect for adding to the back of shoes, the strap of flip flops, or the bottom of high heels. The durability of these labels makes them perfect for any application. There is no shortage of uses for soft PVC labels. Instead of hiding your business, show it off by creating and using custom PVC clothing labels. Attach them to the outside of shirts on the hem or sleeve, put them on the outside of pants waistbands, adorn shoes and purses, or make a splash on swim wear. No matter what you use your custom PVC labels for, you will find that they make a major statement.